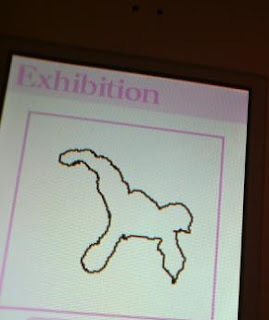 Why it's c) a giraffe, of course. As drawn by my boyfriend on Brain Training. 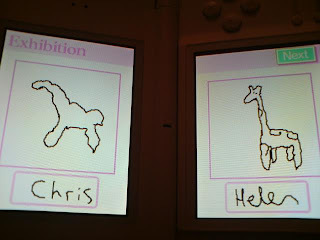 Now, let's compare his drawing to mine shall we? Need I ask who won the battle of the giraffe?